JUST OFF HWY 27 S. NESTLED ON THE BANKS OF LAKE DAVENPORT. SOLD OUT BUT RESALES AVAILABLE. The Bahama Bay Resort is a secluded, tranquil, Caribbean-style Condo resort sitting right on the banks of the picturesque Lake Davenport and is laid out over 70-acre spread of gardens, lawns, lagoons and fountains, making it a truly beautiful place to stay. This Orlando Condo resort with 38 units looks and feels like a small, friendly village. Make one of the finest vacation resorts in Orlando your next Florida vacation home away from home in the kingdom of fun. Bahama Bay Resort consists of 38 buildings of 2 or 3 floors accommodating two and three bedroom condominiums all with two bathrooms. The resort complex offers superior facilities in a Caribbean style setting, a Recreation Centre and Club House, the use of three outdoor heated pools and five outdoor heated jacuzzis, a sandy beach and a variety of sport facilities. Each condominium has individual screened enclosed patios or balconies overlooking either lakes, swimming pools or gardens enabling guests to enjoy the best of the Florida weather in private luxurious surroundings. Each condominium is superbly furnished and fitted with airconditioning, television, stereo, CD player, iron and ironing board, fully equipped kitchen including cooker, microwave, refrigerator with ice-maker, dishwasher, washing machine and dryer, as well as cutlery, crockery and utensils. Accommodation Two bedroom condominiums : Have a master bedroom with queen size bed and en-suite bathroom, twin beds in the second bedroom and a sofa bed in the living area. Sleeps up to six. 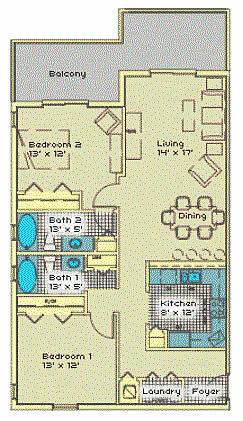 Three bedroom condominiums, As above with an additional bedroom with queen size bed. Sleeps up to eight. Bahama Bay offers everything you would expect of a resort whilst giving you independence and privacy in relaxing and luxurious surroundings. Great value for couples, groups of friends and families. 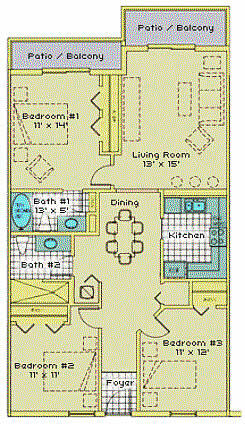 3 BED 2 BATH 1232 SQ.FT. 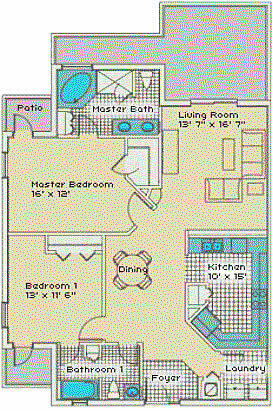 2 BED 2 BATH 1394 SQ.FT. 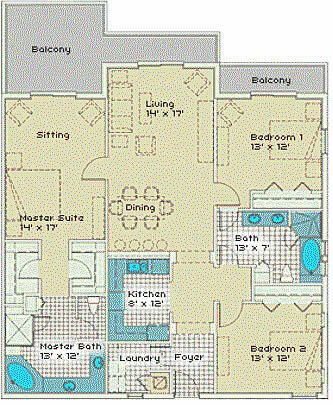 3 BED 2 BATH 1739 SQ.FT.